Are you stuck coming up with innovative SEO keywords? Having the right keywords is essential for in any successful SEO campaign. We know it’s not easy to always come up with the right keywords people are searching for. We put together a how to find the best keyword guide. Read on to change the way you do your SEO. 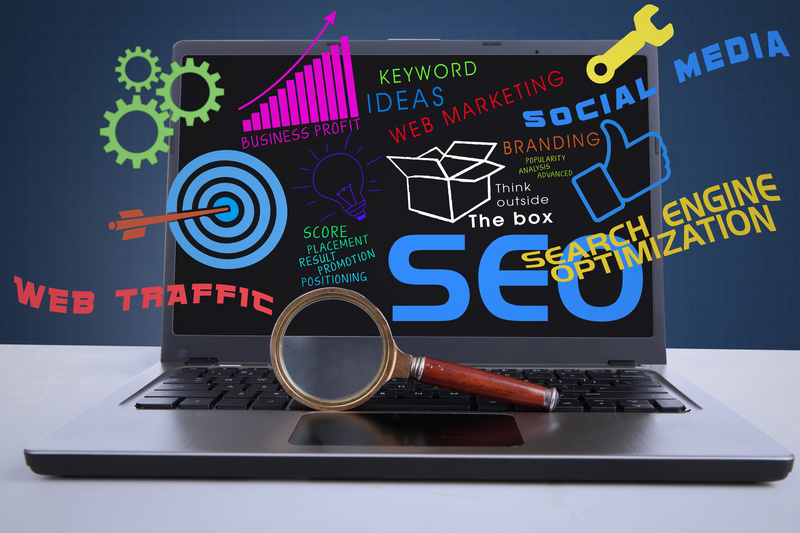 SEO keywords are what makes it possible for you to type in a phrase or name of a site into a search engine and get results. Thanks to the use of SEO keywords you’re able to find a product or service online without knowing the URL or other specific information. If you want your site to stand out when people perform searches you need to know what people are searching for. You need to make it as easy as possible for people to find you. Before you purchase SEO keyword software and begin your research, you should know your topics well. Be specific about these topics because the competition would be using similar ones. It’s not enough to use general terms such as “online marketing support” when it doesn’t provide specific topic information. Start by coming up with specific topics within the online marketing realm. And then break them up into possible keywords. If you blog often, then you probably know common topics in your field of business. Once you come up with topics, then you can key them into your software to help you decide which keywords will work better with your topics. There’s no better way of learning what works and what doesn’t than by studying the competition. To make the most of your keywords you need to investigate what is being done. You will learn more from what others are doing wrong than from what they’re doing well. When you study keywords that need improvement, analyze what you would have done differently. With that in mind, also study what the competition is doing well. SEO trends start fast but also fizzle soon. If you notice a successful pattern in keyword usage, there’s no reason why you can’t get on with it. The goal is for you to become a keyword expert and anticipate which keywords will be successful just by studying the competition. The secret to success is to always stay relevant. And the use of keywords should be no exception. Provide as much relevant information as possible when coming up with keywords. Instead of saying, “fitness center,” say something like “fat blasting yoga group class.” People are more into taking popular fitness classes such as soul cycle or yoga. That is more attractive than searching for a regular gym. Once you make establish how to make a service relevant, then you can move on to making it accessible for your target demographic. Not only did you make the idea of a gym more appealing, but you told them where you’re located. Of course, after you find your topics and relevant keywords you want to check for efficiency. Plug in your keywords into a keyword searcher. One way to check if you’re on the right track with your keywords is by using a free keyword searcher. These are examples of free services you can use. This free tool by Google is a great place to start when you’re running an SEO Campaign on a tight budget. Before you get started, make sure you set up an AdWords account. After you provide Keyword planner with a few words, you’ll get a whole list of related terms and metrics. These will help you decide which ones measure better in searches. Google Trends is also free and allows you to perform more specific keyword searches. You can filter by location if you want to create location-based SEO campaigns. It also allows you to select categories for each of your searches. You can use Keyword Tool without having to set up an account. If you want a free tool that just gives you keyword suggestions, then this is a great place to start. It works by using Google Autocomplete to generate possible word suggestions. Paid keyword search software provides you with similar services as the free engines, but it gives you so much more. These can give you thousands of keyword variations and even give you other website rankings. Term explorer offers three plans basic, pro, and agency for whatever your needs are. It offers a complete report of keywords based on relevance in the market. It can also provide you with over with over 10,000 keyword variations. Moz works by analyzing the difficulty and competitiveness of each keyword. It gives you the top 10 rankings for each word you use. It ranks based on a difficulty score. SEMrush I recommended for businesses who want to keep up with their competitors. When you perform a keyword search using SEM rush, it will show you how to get bumped to the top of the search engines. This tool is an investment for you’ll spend $549.95 a month for the business package. Ahrefs uses a similar design to SEMrush but at a more affordable price. The cost of their advance package is $399 a month. One of the features includes finding the URL rating of any website. It also measures the backlinks and social metrics. If you’re on a tighter budget, but still want quality a keyword searcher, then Accuranker is for you. It saves you time while tracking different keywords and giving you a precise result. HubSpot offers you a free trial of their services. This software allows you to identify the best keywords for your SEO campaign. You’ll be able to optimize your site while tracking the results. The right keywords are necessary to launch SEO campaigns and bring more traffic to your site. There’s no wrong or right way to do it, but you always want to stay on top of the trends. Do you enjoy learning and improving your SEO techniques? Then let us show you what we can do for you, visit us to learn more.